May Adrales is a director and theater educator. Vietgone, Qui Nguyen’s play she directed, has received rave reviews, and its New York premiere at Manhattan Theatre Club has been extended through December 4th. Adrales helmed the world premieres of Luce at LCT3, Edith Can Shoot Things and Hit Them at Actors Theater of Louisville, after all the terrible things I do at Milwaukee Rep; Mary at The Goodman Theatre, In This House at Two River Theater Company; Qui Nguyen’s Five Days Till Saturday (NYU Tisch), Richard Dresser’s Trouble Cometh at San Francisco Playhouse; and Katori Hall’s WHADDABLOODCLOT!!! at Williamstown Theater Festival. Her off-Broadway credits include Lauren Yee’s Ching Chong Chinaman at Pan Asian Rep; Thomas Bradshaw’s The Bereaved (Top Ten of 2009, Time Out) at Partial Comfort Productions; and Anton Dudley’s Cold Hard Cash. She directed Dael Orlandersmith’s Yellowman and Katori Hall’s The Mountaintop at Milwaukee Rep; Kristin Newbom and David Hancock’s world premiere of Our Lot at Clubbed Thumb; and Betty Shamieh’s world premiere The Strangest at Here Arts Center. Adrales spoke to Works by Women about Vietgone, what directors need in developing their craft and how running helps her be a better director. WORKS BY WOMEN: Tell me about when you first read Vietgone. What was your first impression? MAY ADRALES: I cried and I laughed throughout. I thought that a show like Vietgone has the power to make an immense social and cultural impact. This play changes the conversation on the representation of Asians and actors of color on stage. It challenges us to think about the complexity of war and alters the historical perception of the Vietnam war. It expands our minds about refugees and victims of war so that we might open our hearts and borders to those in need. It humanizes people – refugees, immigrants, people of color – who are being vilified right now. WBW: You’ve directed the world premiere at South Coast Rep and the New York premiere at Manhattan Theatre Club. What was your approach to both productions? Did it change with the New York premiere? MA: I also directed the production at Oregon Shakespeare Festival in between these two productions with a new cast and design team. I approached the work with the same rigor, discipline and openness for new ideas. For the New York premiere, the overall design work is stronger. We had a chance to improve on the South Coast Rep production and had the time to really strengthen the entire mise-en-scene. WBW: You’ve worked at The Lark, spearheading programs to nurture and support playwrights. What do you think playwrights and directors need right now? How can we accelerate play development and support more diverse voices on stage? MA: Directors I feel are the most underserved right now. I’m not saying that just because I am a director! I teach a bridge to the profession class at Yale School of Drama, which focuses on helping students gain entry to the professional world. So I recognize how difficult it is for young directors to get started. There are so few grant and development opportunities for directors to improve their craft and develop their own ideas. And production opportunities are slim for directors, especially emerging directors. Playwrights have readings and workshops. But directors don’t have that luxury. I think in the development of any new work, it should be routine for theaters to also produce a director/design workshop. I did this for Vietgone at South Coast Rep (SCR). SCR brought all the actors, director, writer, and designers together for three days to explore the text on our feet. And it helped us enormously. It’s what made our first production a success. I think the work of a director is largely misunderstood. So often it’s spoken about in terms of “pace.” So often a review praises the acting, the design and the play but leaves out the direction. But all those factors ARE the direction. I think playwrights and directors need more production opportunities; it’s the only way for a play to grow. Yes, it’s difficult for theaters to produce new plays. But a workshop production of a play is not that expensive. And it’s critical to building an audience for new plays. It’s difficult to drive an audience to see a new play by an unknown writer. But what if you took that audience and helped them invest in that writer and production early in its development? It’s one of the ideas that John Eisner, Artistic Director at The Lark has inspired. I think it’s a terrific model for development: include an audience, build a fan club. I also believe that theaters should partner with other theaters to do new plays. Share the costs and build on the momentum. Help new American plays launch into the repertoire. Vietgone has benefited from having two productions that both partnered with another theater. (SCR co-pro’d with Manhattan Theatre Club, and OSF with Seattle Rep). We want more productions of Vietgone by other theaters, particularly in the middle of the country. It’s an important play and vital to the national conversation. I could go on! There are so many things I want to change about how theater is produced and developed! WBW: You are also a runner. Does running influence your directing or vice versa? MA: Running has been my saving grace. I started running marathons to stop smoking (and it worked!). But it’s taught me very valuable life lessons: 1) Stamina: If I can run a mile, I can run another. I do this in my work as well. When I think I am tired, I can push myself a little longer to read one more play, to solve one more problem, etc… 2) Ability to overcome failure: When you are training, there are days when your body just doesn’t have the energy. You aren’t running at as fast of a pace as you did yesterday. But instead of just resigning and saying, “Oh, well, guess I’ll just stop. It’s not as good as I’ve done before,” I just accept that my body is where is it today, but that going to the finish line is still going to help me in my long term goals. I’m a perfectionist, so allowing myself to find the positive in various obstacles and setbacks and perceived failure is critical. WBW: What is your dream project to direct? MA: The entire six parts of Vietgone. Only Part One has been written. But Part Two is getting underway. WBW: You teach at Yale. What is your hope for the next generation of theatermakers? What have you learned from your students? MA: My students help me to dream again. I love witnessing their passion and their vision of possibility. My hope for them is to continue to change the way we see and do theater. That they continue to dream big. Vietgone has been extended at Manhattan Theatre Club through December 4. For information and tickets, visit HERE. For more information about May Adrales, visit her website. 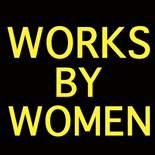 This entry was posted on November 17, 2016 by worksbywomen in Theater, Women and tagged Manhattan Theatre Club, May Adrales, oregon shakespeare festival, seattle rep, south coast rep, the lark, vietgone.